GINKAN Inc. (Location: Minato-ku, Tokyo, Founder & CEO: Tomochika Kamiya, “GINKAN”), managing company of SynchroLife, the social restaurant review service with AI and a token economy, was selected as one of eight finalists to participate in Mitsubishi UFJ Financial Group Inc’s (President: Nobuyuki Hirano, “MUFG”) “MUFG Digital Accelerator” batch 4. The MUFG Digital Accelerator was established by MUFG in 2015 and is the first startup accelerator program run by a Japanese bank. The program aims to work with entrepreneurs and venture companies passionate to bring change to financial services and help them build revolutionary new businesses using fintech, AI, blockchain technology, and more. During the program, MUFG Group puts in all of their resources to help participating entrepreneurs and venture companies in brushing up their business plan, building their prototype, choosing partners based on their business plan, finding business alliances, and provides all around support for new businesses. 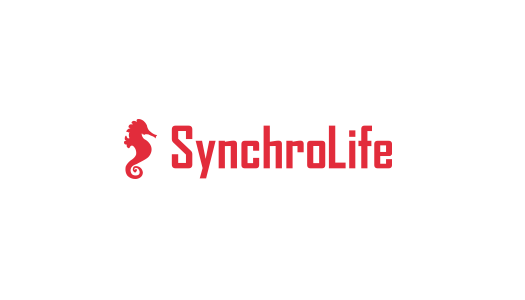 SynchroLife is a social restaurant discovery service that helps diners find good restaurants fast and reliably. The service is currently available for both iOS and Android smartphones in over 155 countries and four languages (Japanese, English, Korean, and Chinese). The social media-style app interface encourages reviews of the best restaurants and experiences, creating a database of quality recommendations. SynchroLife then guides each individual user to the best restaurants as quickly as possible by learning their dining preferences and analyzing them with the preferences of other users. SynchroLife is the world’s first restaurant discovery service to include a token economy and solves both restaurant search problems for diners and marketing problems for restaurants by rewarding core users with token rewards for reviews and diners with cashback rewards for their meals. SynchroLife aims to move from an O2O business model to a fintech business model while introducing cryptocurrency to the average consumer through the daily activity of dining out. By participating in the MUFG Digital Accelerator Program, SynchroLife aims to partner with MUFG and their partners, brush up their business plan, strengthen their marketing, and accelerate their growth.